2 months left of the school year and MOC is taking you skydiving! Get ready for one of the most exhilarating experiences of your life. 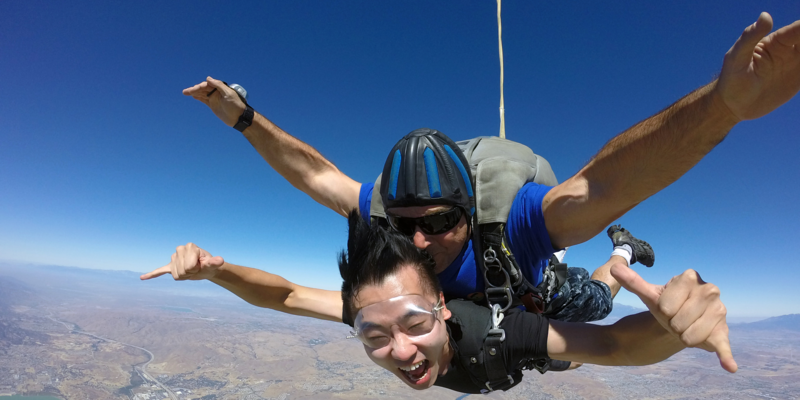 There is no better way to celebrate ending the school year or the MBA program than by jumping off a plane at 14,000 feet and plummeting down to earth with a parachute on your back. Join us at Lake Elsinore on Friday April 19th. Ticket price $75 for MOC members and $85 for non-members (for $150 face-value). Go to www.skydiveelsinore.com for more details about the company.